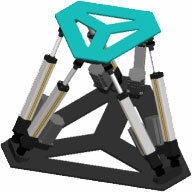 Spectral Dynamics now supplies State-of-the-Art complete systems to satisfy the most demanding requirements for dynamic structural testing and motion. One, two, three or six Degrees of Freedom. Several available dimensions. Standard payloads up to 30 ton. Standard frequency range up to 100 Hz. 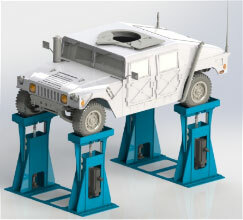 Used to perform validation, durability, squeak and rattle and NVH testing. 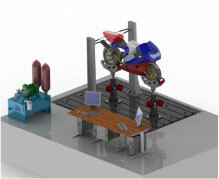 Hydraulic or electromechanical actuation technology. 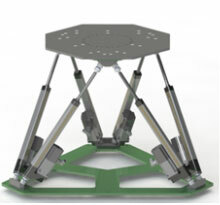 Versatile motion platform for applications such as driving and flight simulation, turret testing or teaching of subjects like Structural Dynamics or Robotics. Several available dimensions. Payloads up to 5 ton. Frequency range up to 20 Hz. 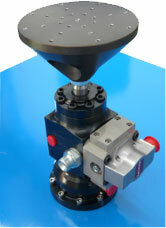 Hydrostatic and hydrodynamic bearings (dynamic testing) and polymeric bearings (static testing).